IMLS’ partner, the Consumer Finance Protection Bureau, is holding its first financial education webinar for librarians on Thursday, July 10 at 2:30 p.m. Eastern Time. We invite you to attend using the login information below. 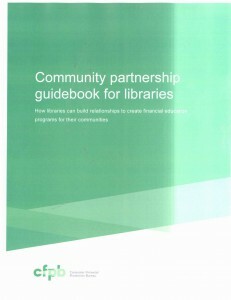 Program ideas – program ideas from CFPB, its partners and other libraries (updated monthly). 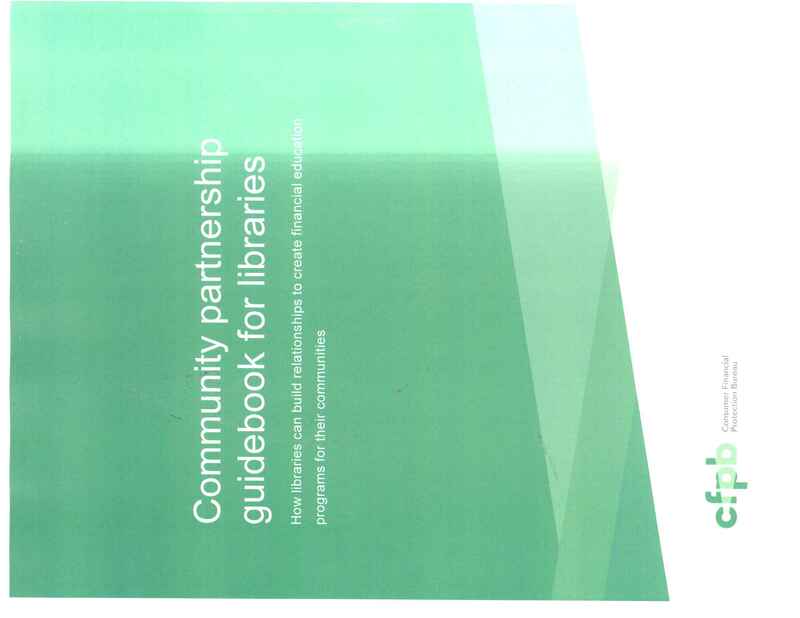 Partnership guide –22-page guide to local partnerships, developed with input from librarians. Links and web resources – a selection of 50 financial literacy websites, videos and courses using guidelines consistent with the National Strategy for Financial Capability and other financial literacy organizations. Free print materials – more than 20 free publications from the CFPB, Federal Trade Commission, Securities and Exchange Commission, and Department of Labor, which can be ordered in English and Spanish (up to 200 copies of each publication). Marketing materials – social media share graphics and web banners, as well as a preview of posters, bookmarks and displays that will soon be available for bulk delivery. Librarian training – monthly one-hour webinars for librarians on a variety of financial literacy topics. The webinars will be recorded and archived for viewing anytime.